This sixth of twelve portraits honoring alumni from thirty years of Roth Endowment programs takes a different approach, as it features the founder of one of our partner organizations, celebrating its tenth anniversary this month. Author Elizabeth Kostova, a champion of Bulgarian literature and international literary exchange, talks about the work of the foundation she started. 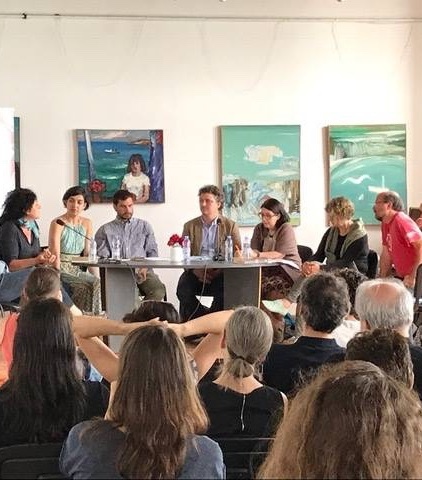 Like the Roth Endowment, EKF emerged as a creative and dedicated response on the part of a few people to a wider perceived cultural need; we are very proud to have helped support its Sozopol Seminar and Dyankov Translation Award from the start. Elizabeth’s most recent novel, The Shadow Land, set in Bulgaria, was released by Random House in April. I was first drawn to Bulgaria because I’d heard and sung some of its famous folk music and wanted to see where it came from. I arrived with a couple of college friends in November 1989, a week after the Berlin Wall fell, to do fieldwork on village singing. We took the overnight train from Belgrade to Sofia. As I woke early that morning to see the first mountains of western Bulgaria coming into view, I remember having the strange feeling that I was coming home to something. Over six months, I visited towns, villages, and city choirs, while the monolith of communism came down with a lot of shock and dust. Everywhere we went, I was moved by the beauty of the natural landscapes, the evidence of ancient civilizations crossing that patch of earth, the tragedy of Bulgaria’s recent past, and people’s kindness and hospitality. My first novel, The Historian (2005), is partly set in Bulgaria of the 1950s; I wanted to give back something to the country that has inspired me as a writer from the proceeds. I had met many writers, translators, and publishers and was struck by the dearth of programs, awards or other forms of encouragement for those professions in Bulgaria. Despite brilliant exceptions, when I first started really paying attention it also seemed there wasn’t very much writing—other than journalism—that dealt with the communist past, which has a continued impact on society there. Wanting to address this, the publisher Svetlozar Zhelev and I created the Elizabeth Kostova Foundation, of which I’m now only a small part. EKF has been an unprecedented success in supporting Bulgaria’s literary life—in large part thanks to our director Milena Deleva—in New York, who also oversees our US programs—and her associate Simona Ilieva, in Sofia. We’ve stuck closely to our original mission: to bring together Bulgarian literary professionals and colleagues from the Anglophone world; to create fair, competitive, juried awards and other opportunities in the field; to reward the work of outstanding translators; to establish the workshop model of discussing writing; and to get contemporary literature from Bulgaria into English and promoted worldwide. 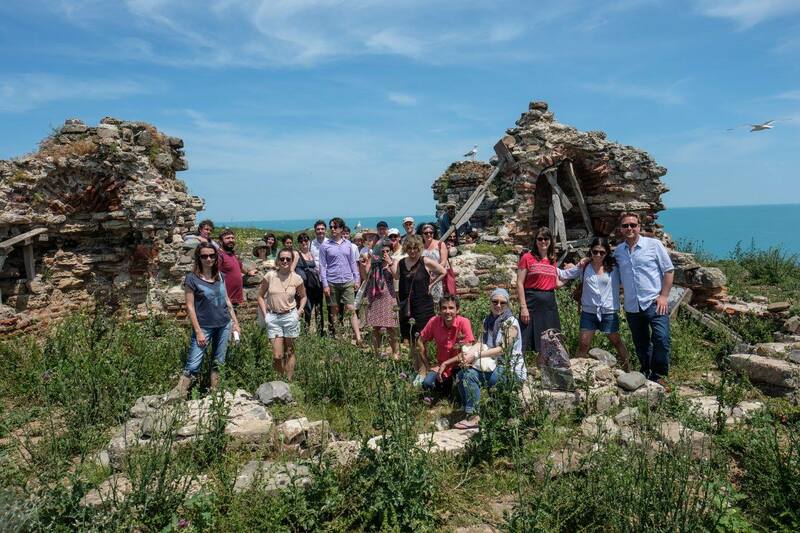 —Every June, we hold our flagship program—the Sozopol Fiction Seminar—in the beautiful Black Sea coastal town of Sozopol. A global, juried competition selects five emerging writers from Bulgaria and five from the English-writing world for a week of intensive workshops and presentations. The seminar also features public lectures by distinguished writers from each language and panel discussions with pretty amazing rosters of writers, editors, translators, publishers, and critics from the US, UK, Bulgaria, and sometimes other countries as well. To celebrate its tenth anniversary this June, the seminar focused on creative nonfiction. —With regard to translation, we sponsor the annual Krastan Dyankov Award for translation of a contemporary literary work from English into Bulgarian, an award that has become a major force in Bulgarian letters. We also cooperate with Open Letter Press to sponsor a Bulgarian translator to study publishing and editing with them in Rochester NY. —Finally we host all kinds of readings and other events in both Bulgaria and the US. In 2015, we held Bulgaria’s first major poetry conference since the fall of the Wall. And in 2011, we brought the Nobel Prize-winning Turkish author Orhan Pamuk to speak and read in Bulgaria for the first time in his career. Ten years in, I’m really proud on different levels. For one thing, Bulgarian literature itself seems to be opening up. Whereas ten years ago many writers were finding their way into literature through fables and magical realism, now they seem to be addressing a wider range of experiences, places, and historical subjects, and using a wider range of tone and attitude. I’m also proud to see the huge increase in the number of Bulgarian books published in English—when we began our work, there were only two or three contemporary Bulgarian literary works in print in English; now there are nearly twenty—and I’m grateful to several editors who have worked with us to host first-ever Bulgarian special issues and features. I have also really enjoyed the many individual stories I’ve seen unfold—more than I can tell. For example, I think of the young Bulgarian professional translator who attended our annual translation workshop in Sofia and decided to try translating fiction for the first time. Thanks to her hard work, she won one of our translation residencies in the U.S. and then a Dyankov Award—a truly impressive trajectory! And I think of four or five young Americans who had never been to Bulgaria until attending the Sozopol Seminar… and subsequently returned with Fulbrights or other teaching jobs in the region. Most importantly, I think I can say without risk or immodesty that EKF has been crucial for many people in their decision to pursue writing or translation as a profession. The 2017 Sozopol Fiction Seminar participants enjoy a break between activities. 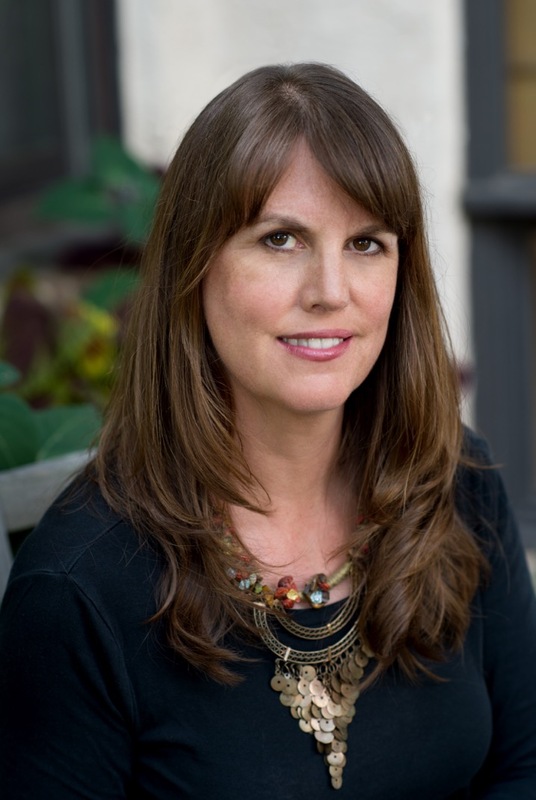 This text blends excerpts from an interview with Elizabeth Kostova conducted by Jessie Chaffee for Words Without Borders; you can read it here. Thanks to Drew Barnhart, our Media and Outreach Manager, for producing our June Portrait.